LONG ISLAND CITY, N.Y., Sept. 28 /PRNewswire-USNewswire/ -- The ideas—and the coffee—will be free flowing at breakfast time in the 5 boroughs this year. 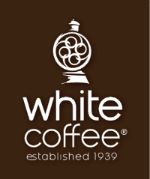 White Coffee Corporation of Long Island City, NY will provide its signature specialty coffee to business leaders, entrepreneurs and networkers looking to make a business connection during the "1010 WINS 5-Borough Business Breakfast" held over the course of the next year throughout the five boroughs of New York City. 1010 WINS brings together listeners, key members of local government, as well as a highly regarded panel of individuals from companies doing business in the featured borough. The first of five breakfasts will be held on Wednesday, September 29 at the Hilton Garden Inn at 1100 South Ave., Staten Island, from 7:30 a.m. – 10:00 a.m.